Jio Welcome Offer Relaince Jio 4G Data and Internet Speed how to increase speed upto 10-15 Mbps. Reliance Jio geting very low speed dont worry i am sharing some tips and trick jio 4g increase speed. 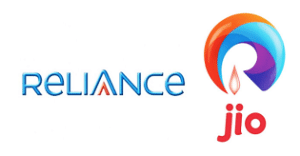 As Reliance Jio Sim is Offering Unlimited Free Calling, Free SMS and Unlimited 4G Data and Internet For 3 Months.So Loot This Free Internet By Increasing Download Speed Of Your Jio Sim In Easy Steps.